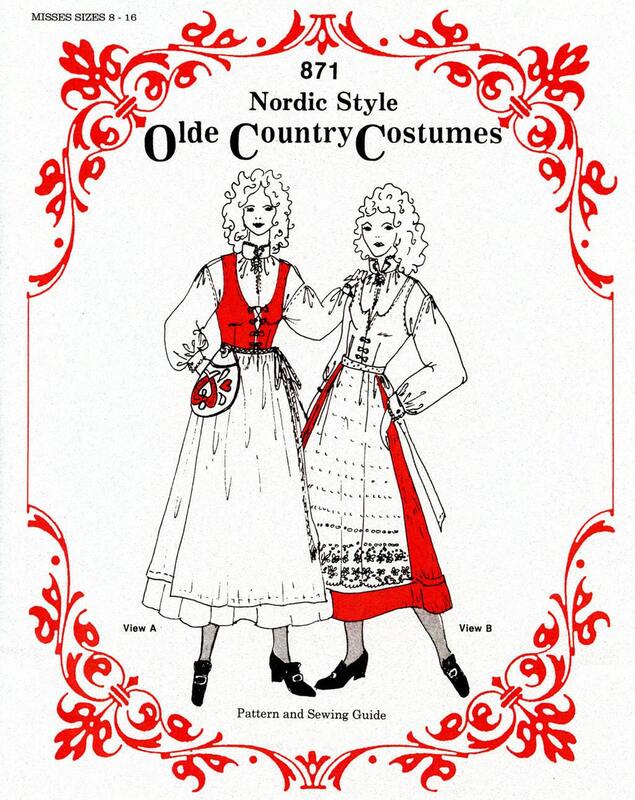 This Nordic Style Costume pattern includes two style variations. Adaptations can easily be made to combine features from one variation with the other giving the pattern design versatility. View A Jumper has a contrasting bodice with the typical Gudbrandsdalen neckline and is fastened with hooks, either concealed or decorative. Both bodices are snug fitting with the waistline seam falling 1 1/4" above the natural waistline. A 1" tuck near the bottom of the softly pleated skirt encloses the raw-edge and adds weight to the hem. 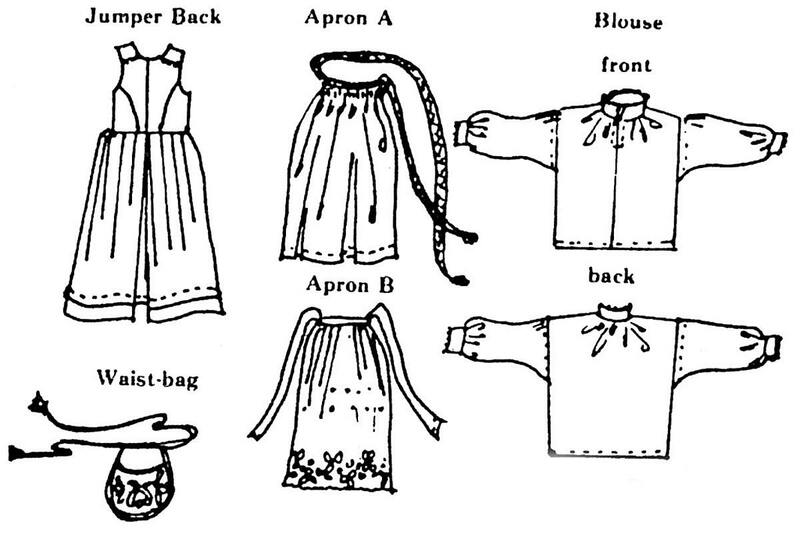 View A Apron is gathered at the waist with shirring done by machine. The waistband and ties are of woven ribbon or braid. 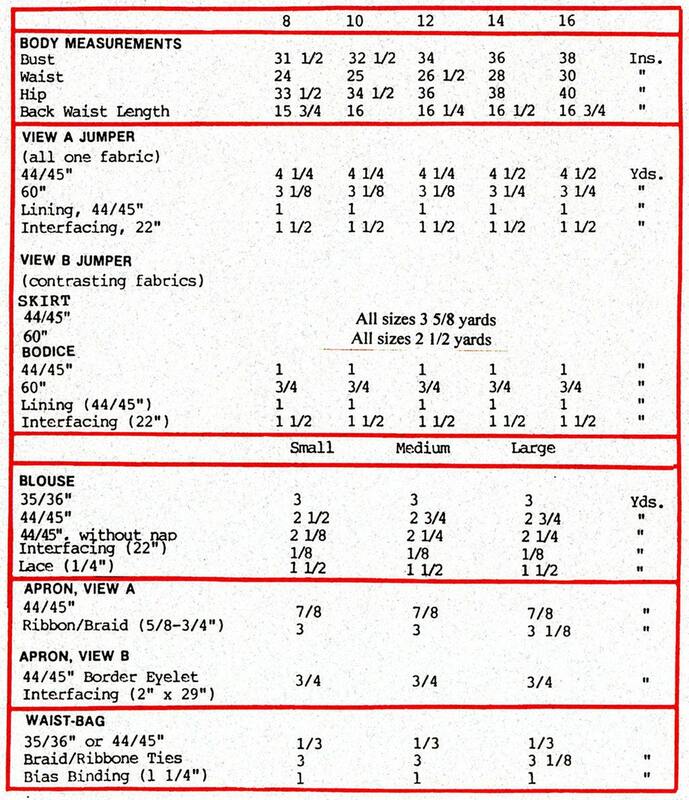 The pleated View B Apron is made of bordered eyelet embroidery. The front and back of the loose-fitting Blouse gather into a stand-up collar with a neckline slit in the front seam. Full sleeves with small pleats at the dropped shoulder are gathered into buttoned cuffs. Collar and cuffs are edged with lace. The difficult gussets in the traditional Nordic blouse have been eliminated by the cut of the sleeve and shoulder. The Waist-bag is tied or hooked at the waist. 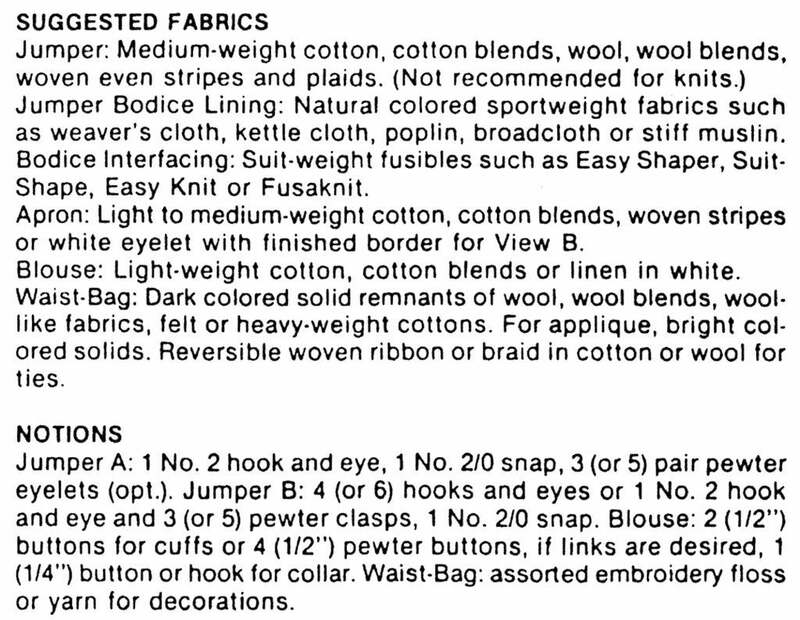 Designs and directions for appliqued decorations are provided.